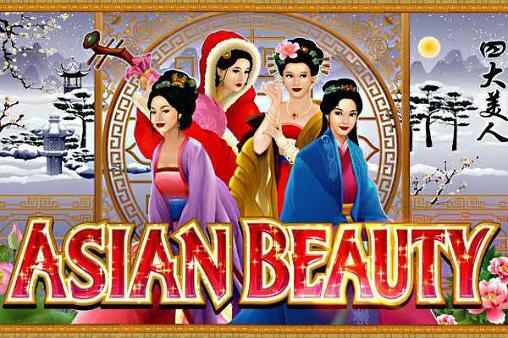 Here's another winner from the team at Microgaming, a super Asian themed online slots game with an amazing set and super graphics that transports you to an ancient Chinese settlement that's filled with pagodas and beautiful Geisha girls. From humble beginnings in the Isle of Man, Microgaming launched in 1994 – at a time when the internet was still young this developer created the first true online casino since this conception Microgaming have gone on to create over 850 unique games with titles being released monthly. This sizeable portfolio, complete with innovative and genre defining games has solidified this developer as one of the top dogs of the online gambling industry, and one of our favourite developers here on Wizard Slots online casino. Remaining humble, recent years have seen Microgaming using their money to give back to the community, funding many educational and community driven projects whilst producing iconic titles. 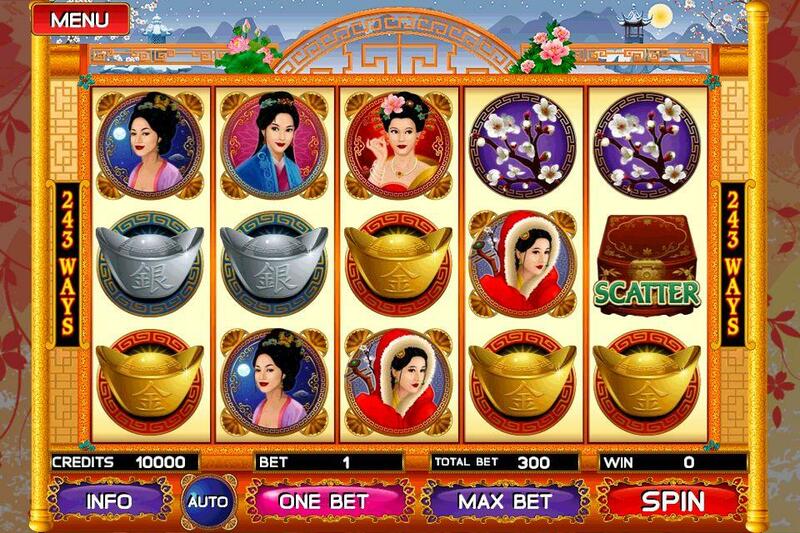 Feel yourself surrounded by the beauty of these Oriental maidens during this 5-reel slot. With over 240 ways to win you might want to leave your fate with these ladies. With a simplistic theme, this machine celebrates the grace and elegance within Chinese culture. Set upon the Emperors Moonlit gardens the reels contain a variety of delicate flowers and ornate trinkets. Players will also encounter the strikingly beautiful daughters of the Emperor, each as stunning as the last. Click here for detailed information from a list of our top games. Before the game begins players must set their initial stakes. Using the tools located at the bottom of the game players can chose a range of coin sizes from 00.1 to 0.50, they must then select how many coins to bet per line with a fixed rate of 30x for the maximum bet. Within the 240 ways to win reel players will come across a wide range of symbols, the mid-value symbols hold little beauty in comparison to the Emperors daughters but should not be under estimated. The first is the Lotus Flower, followed by the delicate Cherry Blossom, then a Silver trinket and finally a golden Ornament. The larger prizes come from the 4 fair maidens, going up in value you will find a Red beauty, a Blue beauty, a Yellow beauty and finally a Purple beauty. To achieve the machines 2000-coin jackpot, players must attempt to line up 5 of the Asian Beauty Logos in a row. When found elsewhere the logo acts as the Wild for this game, substituting for any other none bonus symbol to help players achieve a winning combination. The final in game symbol is the Scatter, this possibly one of the most valuable symbols in Asian Beauty. Depicted as a Chest, if players manage to find 3 or more Free Spin rounds will be triggered. The number of spins is directly linked to the Scatter number, 3 Scatters will gift 10 Free Spins, 4 will lead to 15 Free Spins and the maximum 5 Scatters will see players with 25 Free Spins. The final available bonus within this game has the chance for a 9000 coin pay out. Randomly triggered, players will find 12 mirrors as well as the 4 daughters of the Emperor. Each girl has an assigned multiplier, the aim of the game is to turn the mirrors until 3 of them showcase the same beauty. Once this has been achieved players will receive their total bet multiplier by each girls hidden value.